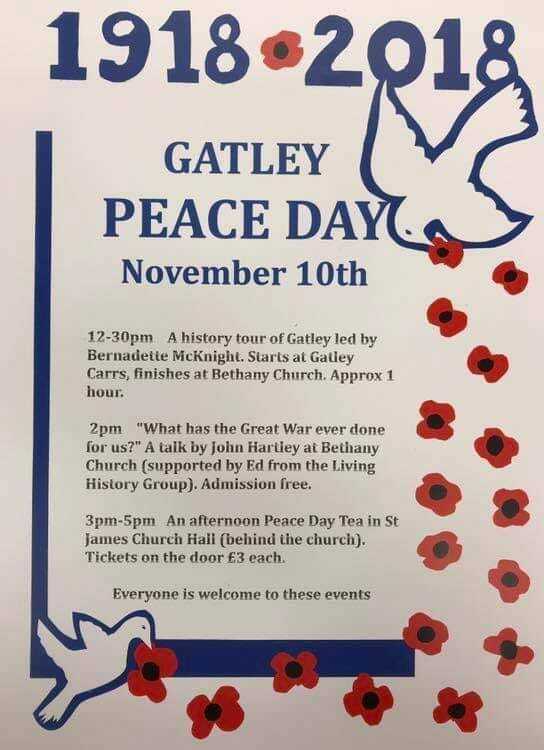 Events on November 10th 2018 for Gatley Peace Day. The tea at St James is intended to reflect the Peace Day in 1919 when the village put on a similar event. It should be reviving – particularly so if you’ve just been listening to me whittering on for 40 minutes. The story of the village “home front” is told in a new booklet available only from the Village Partnership. There’s also mini-biographies of 150 men connected with Gatley who served in the forces during the war. At two quid, it’s a bargain! All proceeds to the Partnership.